The Part 1 course - The Living Heart of Yoga - requires you to have previous yoga experience & a regular practice of at least 6 months. It is open to anyone who wishes to become a Heart of Living Yoga teacher and also for those who want to dive deeper into their own personal & spiritual practices, but do not want to become a teacher. 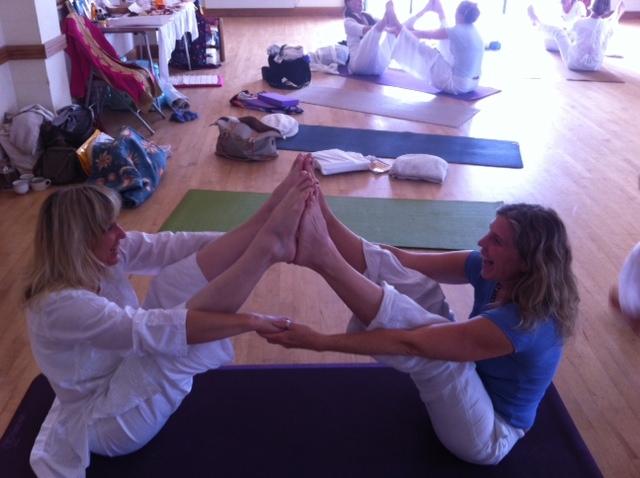 This Part 1 course is a pre-requisite to attending the Part 2 Heart Of Living Yoga Teacher Training Course. The Part 2 course- Heart Of Living Yoga Teacher Training Course - requires a minimum of 2 years regular yoga practice & for you to have completed the 6 month Part 1 Living Heart of Yoga course in order to be able to sign up for the Part 2 Teacher Training. Part 1 = Total cost £800 for the 100 hour course (6 months) includes required books & manual. Part 2 = Total cost £2,200 for the 200 hour Heart of Living Yoga Teacher Training Course (12 months) includes required reading material, manual and a weekend retreat in a beautiful location. * Book & pay for courses Part 1 & 2 together in full & receive a 10% discount on the total cost of £3,000, saving you £300 & costing only £2,700. * For students who are signing up for Part 1, there will be an opportunity to book onto Part 2 later on and receive a £150 discount off the cost of Part 2, if booked & paid in full before month 4 in the course. Bookings after that time will be normal pricing. * To reserve your place on the Part 1 course, a 50% deposit of £400 is required, with the final £400 payment in to be paid in full at the latest 4 weeks before the course start date. * The option of a monthly payment plan (following on from course deposits) is available with an additional 10% on the outstanding amount. To be set up as a standing order/direct debit & payments completed before the final weekends.